Before this week, I hadn’t had the time or the extra games to work out a trade in a long time. But when I recently decided to part with a decent sum of my DS collection, which included about 12 DS games and six consoles, I was able to complete a small but appreciated trade for some needed NES titles. I posted a picture of them on Instagram with the #ForTradeFriday hashtag and found someone who was interested in my copy of Harvest Moon DS and Advance Wars: Days of Ruin. 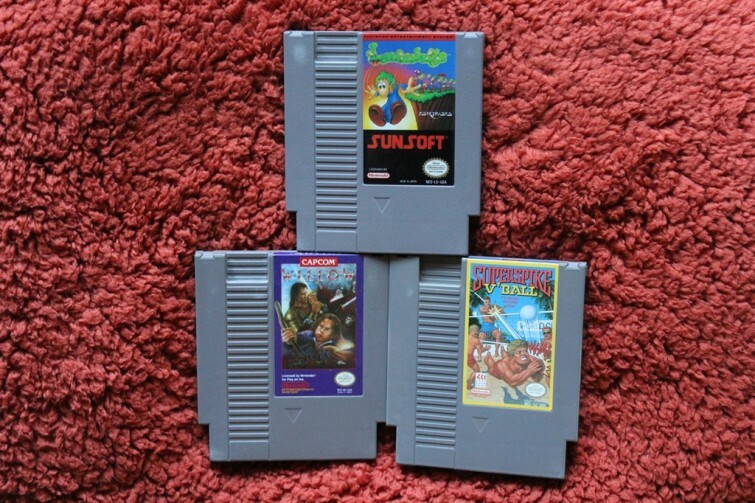 It didn’t take long before we worked out a deal for these three awesome NES games off my wanted list. Willow is a 1988 Capcom game based on the film of the same name released the same year. I had never heard of the movie despite it being based on a story by George Lucas and directed by the great Ron Howard. The arcade version of Willow is a platformer, while the NES game is an action RPG. Super Spike Volleyball is a super common game that was also released on the same cartridge as World Cup Soccer, which I’m also looking for. Lemmings is definitely the highlight of the bunch. This puzzle platformer was one of the best-received video games of the early 1990s. The popularity of the game led to development of its numerous ports to other systems and the creation of several sequels, remakes and spin-offs. It has also been credited as an influential predecessor of the modern real-time strategy video game genre. This haul brings my collection from 142 to 145 loose NES games. For the rest of the entries of NES Quest, check them out right here on Retro Chronicle.